In the era of open offices and digital nomads, everyone undergoes this clamorous world wish to have a personal space where they can focus. Future Life Factory is a studio in Panasonic’s Design Center in partnership with avant-garde Japanese designer Kunihiko Morinaga, have created Wear Space. 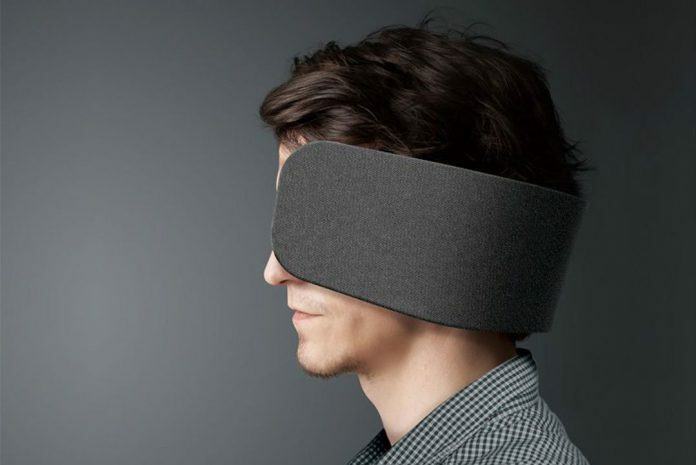 Wear Space are essentially glorified horse blinders for people who work in open-plan offices and digital nomads. It is designed to create “psychological personal space”. In the world where people are surrounded by noise and distractions, this new gadget will help them concentrate. It is a wearable device designed to aid concentration by limiting your senses of sight and hearing, via noise-canceling technology and a partition that controls your field of view. It is designed so well that it can be adjusted based on the level of concentration you desire, so it adapts to the various situations you’ll find yourself in. Wear Space not merely help you to find the personal space or to focus on the work but will also be an aid to monitor your cognitive health.